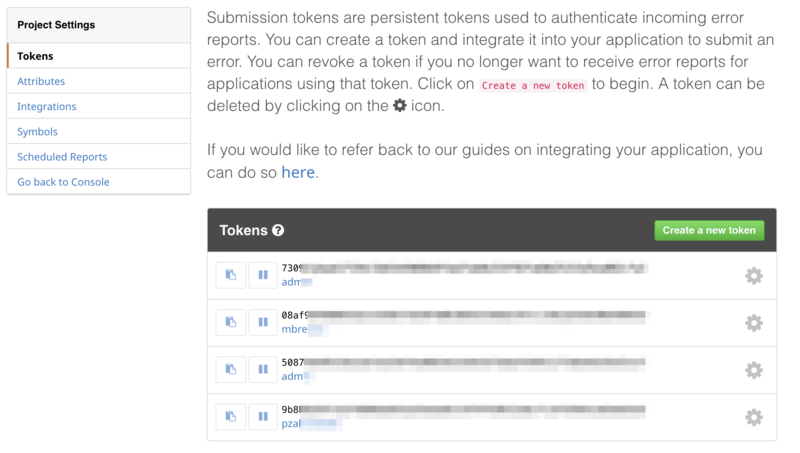 A submission token is required to submit errors to Backtrace via Breakpad, Crashpad, or directly to the API. You can create and manage submission tokens in the Project Settings window. You can create different submission tokens for different purposes, such as one token for each production version of your software. This allows you flexibility to pause or disable tokens for for certain releases as your needs dictate. Note that submission tokens are different from symbol upload tokens. You can learn more about submission tokens and how to create them here.